Such a lovely thoughtful piece…God bless you Cathy.Irish by birth,a Corkwoman by the grace of God.Rebels Abu! You are so blessed to have such a wonderful father who adores you. I’m so happy you had time to connect with him and to celebrate Rita. She sounds lovely and sounds a lot like you. Hugs and safe travels back to Florida! a flight attendant on business jets.. I often wonder if my folks stopped me from leaving ..
Where would I be now???? A untraveled girl who never left cork ?? ?would I be happier??? It’s the same questions I ask every time I walk through cork departure gates …. Where would I be now ???? Thanks for your kind words, Donna. It’s funny how much of the process so many of us share! I know the feeling, but I came home for good about 12 years ago, while my mother was still around, so that was good. I’m glad you got the full return Joan. A beautifully-written piece! I can only imagine the numbers of Irish men and women who’ve shared these poignant moments of taking leave . . . Thank God for the stability of Tayto, though the 2p price has changed just a bit! A very touching post and so glad to have found you. 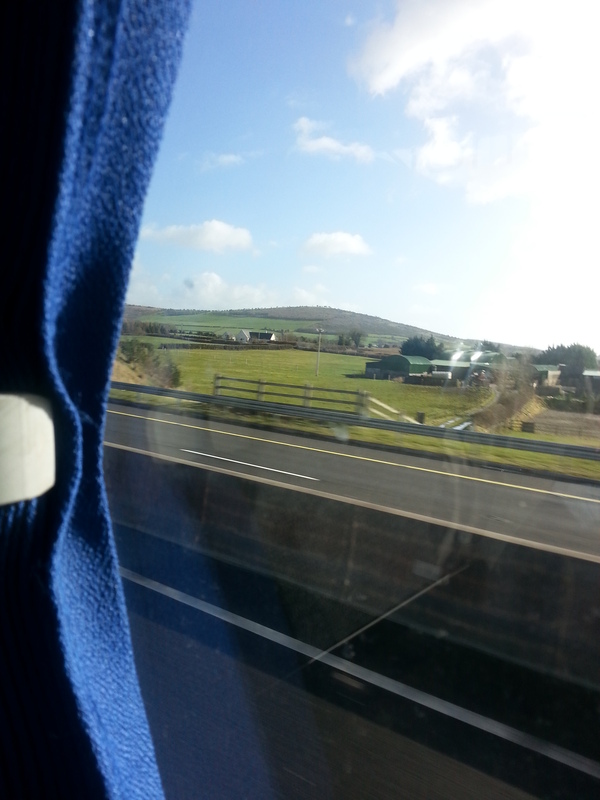 Those leavings, even to Dublin!, never came easy to me. Thank you. The wonder is that that we homebodies ever managed to leave at all! Very true! I must say things unfolded in such a way that I ended up back ‘home’ in Tramore. I understand completely how you feel. We left Ireland in the nineties and lived abroad for almost eight years. I gave it two years before admitting that I would have to return some day for good. Although we didn’t live as far as you from home, we didn’t have a lot of money for trips back but managed it once a year. The goodbyes at the end of each visit are so difficult and I too have traveled on buses to airports with tears in my eyes. Thank goodness for air travel, I can’t imagine how heartbreaking it must have been for those who emigrated, or were forced to, in the past and had to travel to distant continents by sea. We’ve been back now almost seven years and living in East Cork and I’m loving every day of it, in spite of the atrocious weather these past few months. I’m glad it’s going well for you back home. At this point I think I’ve been so spoiled by Floridian weather, it would be hard for me to cope with the grey anymore; but there is lots to recommend home too, so I’ll never say never! Ah now, I’ve something in my eye. Did you know that Barry’s have a terrific online service? Hate when that happens! If I’m going to run out before a visit from home or to home, I have used FoodIreland.com. I’ll have to check into Barry’s online service.